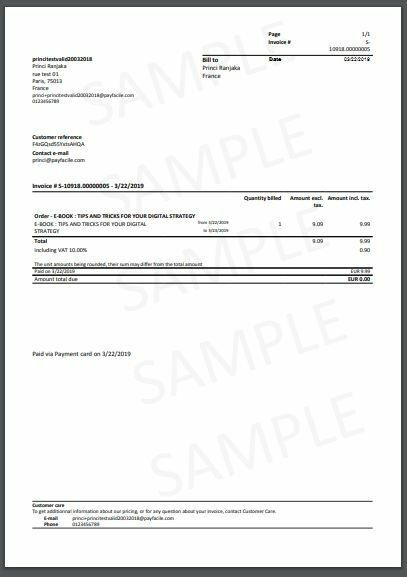 Invoices are automatically customized with your logo and contact information. Your logo will be automatically added to all your invoices. Your contact information will automatically be added to your invoices to ensure legal requirements.